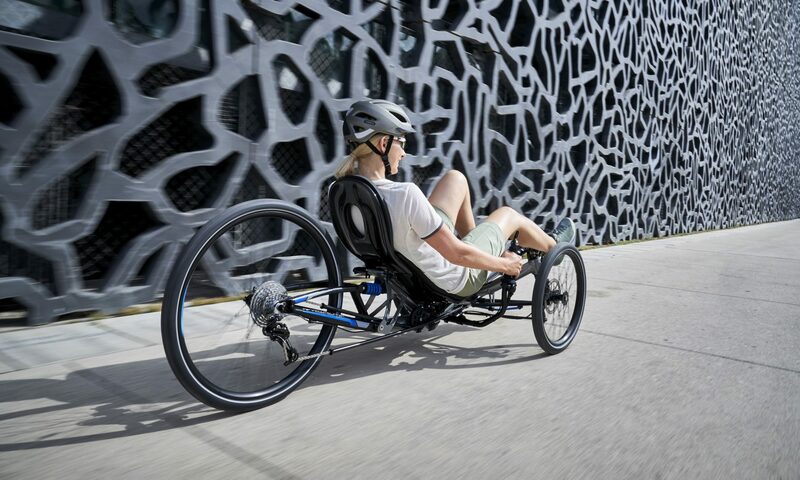 The Charger range of electric bikes from Riese & Müller all have sturdy aluminium frames, suspension forks, and neatly integrated Bosch motor systems. They make a few different models, for full specifications and prices, the R&M website is brilliant – you can configure your bike there and get a reference number to order it from me. The Supercharger and Supercharger Mountain have twin batteries integrated into the top and down tubes, for very long range in something that doesn’t look like an electric bike. The New Charger has a single battery, integrated the same was as the Supercharger’s batteries, and is available in diamond and mite frame styles. There’s also the Charger models, which have an external battery, and are available in diamond and mite frame styles, and the GX touring version.